Valley pride can’t stretch much deeper than this. 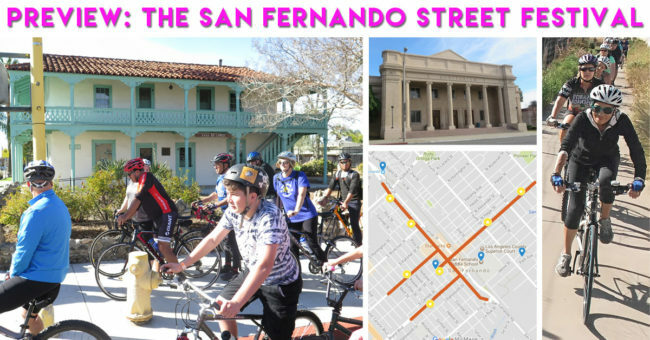 If you haven’t been on the social media at all lately, then that’s the only way you could of missed the news of the San Fernando Street Festival coming this Saturday, March 31st. You know I love any Open Streets events coming to the 818 and it seems like way too long since CicLAvia rolled through Pacoima / Panorama City / Arleta / Van Nuys over two years ago. What makes this event special is that this will be the one that surprises people the most. First of all, most Angelenos probably don’t understand that San Fernando is a city of its own in the San Fernando Valley or just confuse the two in general. The City of Los Angeles was very successful in annexing most of the Valley around the turn of the century, but just like Burbank, San Fernando didn’t capitulate because both had water sources of their own. What adds to the lack of awareness for this municipality of 25,000 people is that it isn’t a cut through for commuters or easily seen from the freeways factoring more to its seclusion. The San Fernando Mission was established in 1797 and even with its long history, it still took awhile to develop. While the complex has gone through various levels of activity as has its surroundings, the Valley fell hard into its mid-century suburbanism leaving San Fernando a healthy step behind. Yes, you can see some failed post-war strategies in place here, but the bottom line is San Fernando has some really good bones to it. As an added bonus, there are also going to be three feeder rides from North Hollywood, CSUN and Sylmar all leaving at 8:15 AM and CiclaValley is leading one of them in case you want someone to drop more knowledge on ya. Here’s a list of a few things to check out on and off the beaten path while you’re there this Saturday. Rarely do I get excited for a middle school, but you’d be hard pressed to take your eye off of this beauty.San Fernando High School was established back in 1894, one of the earliest in Los Angeles. 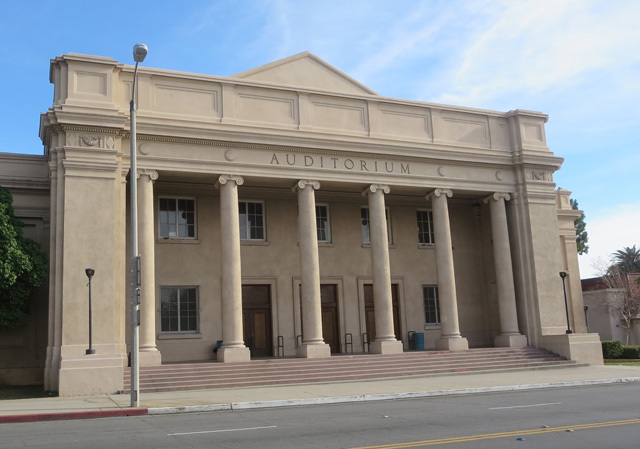 In 1906, the campus moved to this site where it flourished with this neo-classical themed auditorium, erected in 1916 designed by architect John C. Austin, who was also responsible for such little known buildings as LA City Hall, Shrine Auditorium and Griffith Observatory. The school held grades 7 – 12 until 1952 when the high school moved to a new campus east of the site. Full disclosure: I love beer. To expand on it, I love places that has a great atmosphere to drink it. 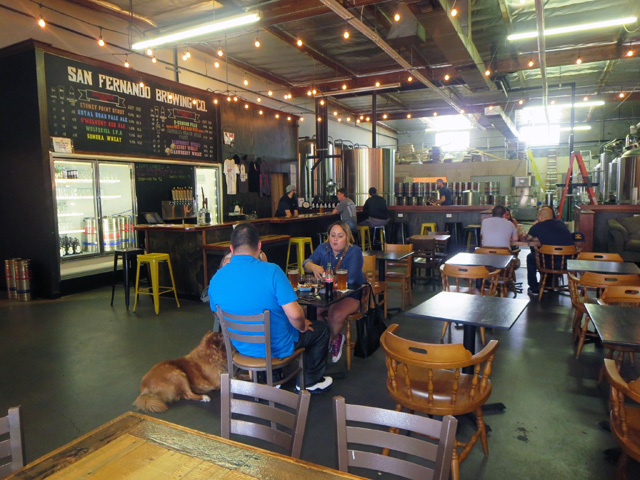 The San Fernando Brewing Company has only been here since 2012, but it’s here to stay. The space’s openness, soothing ales, healthy pours and free snacks is enough to do it for me, but the staff is super friendly as well. They’re also very accommodating to bikes as well. I’m glad I don’t live nearby or else I’d be changing my profession to barfly. 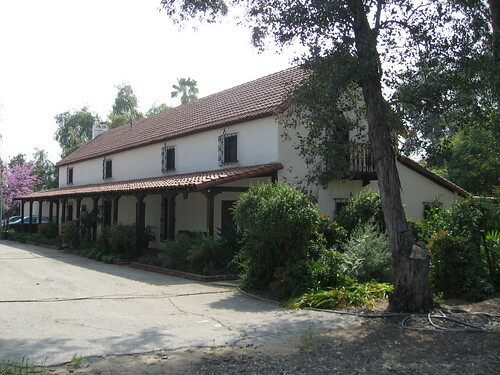 ]The Lopez Adobe is a well preserved house that plays a large part in the area’s history. Geronimo Lopez served as a messenger during the Mexican American War, even delivering the terms of capitulation to U.S. General John Fremont. Lopez had built his first adobe in 1861 which also served as a general store, school and post office. 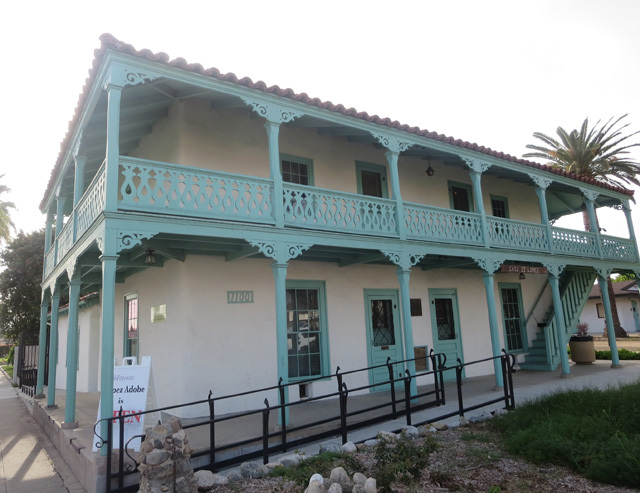 In 1882, his cousin built the two story adobe that stands today and is now the city’s oldest building. The first adobe didn’t nearly have this longevity, as it was raised in 1910 for the San Fernando Reservoir. The current adobe almost faced the same fate as the city secured funds to purchase the property back in 1971. The adobe holds tours on the fourth Sunday of the month. Check out their blog for a ton of great history. What you’d consider the valley’s earliest landmark hasn’t always been what you’d think. The Mission was founded in 1797 and what you see today based on the third church built in 1806. 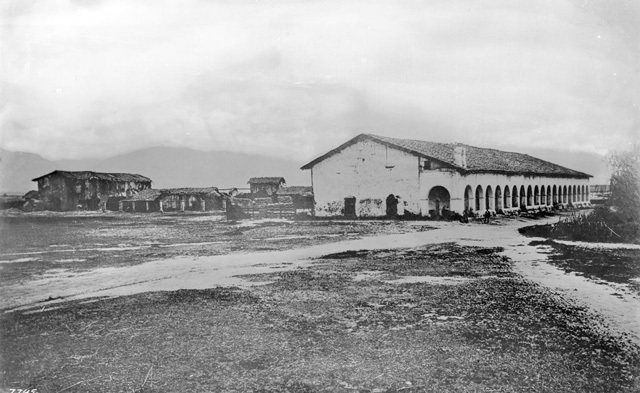 In 1834, the mission was secularized and Governor Pio Pico used the buildings as headquarters for his rancho. Thanks to President Lincoln, the mission was returned to the church in 1862 with much needed work necessary on the structure. Improvements progressed slowly, but it wasn’t until 1923 that things were in working order to function as a church again. Still, work needed to be done and the Hearst Foundation stepped in during the 1940’s to rehabilitate the structure. That was until 1971, when the Sylmar earthquake destroyed the church forcing it to be completely rebuilt. On top of it’s long history, such luminaries as Bob Hope, Chuck Connors, Ritchie Valens, Jane Wyatt and a host of others are buried there. One of the most historic homes in Los Angeles, the Romulo Pico adobe was built starting in 1834 with many additions along the way. Originally constructed by of Native Americans, it was sold by Governor Pio Pico to Eulogio de Celis along with a big portion of the valley in 1846. A couple of rooms were added, but by 1853, the adobe found its way back into the Pico family’s hands. The property was rarely used, but Romulo Pico was credited for restoring the house and adding a kitchen and another couple of rooms. Near the end of the century, Romulo moved to Los Angeles and the home fell into disrepair once again. 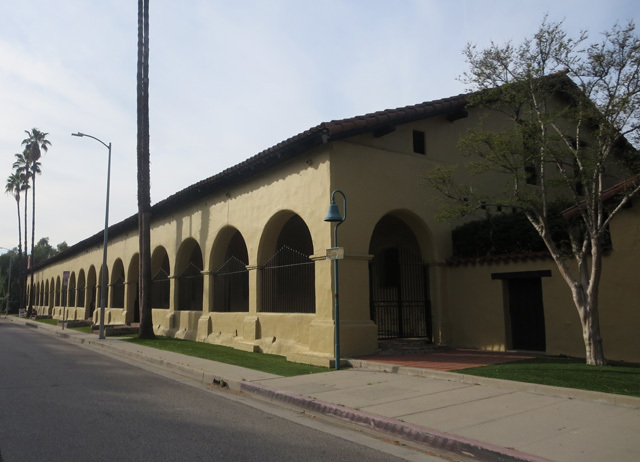 It lingered for years until the city bought it in 1965 by the urging of the San Fernando Valley Historical Society, that now occupies the site today. You can come visit the grounds on Mondays and the 3rd Saturday of the month where you can also see the Lankershim Reading Room, the only remaining structure from the Lankershim Ranch. Once you’ve taken the Metrolink, it’s kinda hard to say goodbye. The Antelope Valley Line serves this track which was originally built in the late 19th Century by Southern Pacific. There are lines running from DTLA and Santa Clarita on Saturday, so this is a great opportunity to give it a try if you’ve never ridden before. You’ll also notice the double width of Brand Blvd. heading west. This was the former route of the Pacific Electric Railway built by Henry Huntington to compete with the Southern Pacific. I’m sure most Angelenos know about the Peterson Auto Museum across from LACMA, but the Nethercutt Museum is on par yet seems like such an anomaly because it’s relatively unknown. The Museum boasts 250 collector cars while the Collection across the street has a number of wild antiques including one of the Wurlitzer Theatre Pipe Organs in the world! This is nearby in Sylmar, but definitely worth a diversion since you just have to take the San Fernando Road Bike Path north for a ten minute ride. The Collection is tours only (reservations required), but the Museum will be open from 9 AM – 4:30 PM. Griffith Park’s Vermont Canyon Adding Lanes? VIDEO: Do you fear wind or blowouts most on downhills?